Everyone has a different way of memorizing and recalling things, and while some of us may have a photographic memory, others are more tactile learners. As a result, people tend to remember better either because they have received the information in a format that they find easy to recall, or because they are young and mentally healthy. 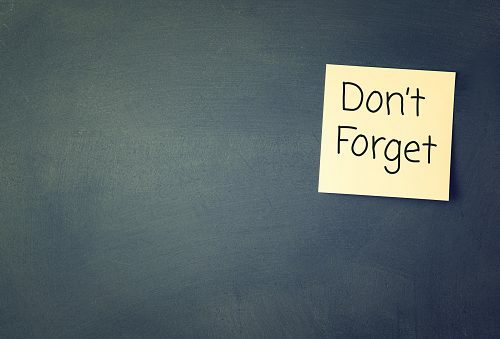 For some people, however, forgetfulness can affect their daily lives. If you have problems remembering things, we have listed some suggestions to improve your memory. Understand Your Learning Style: Learners can be visual, auditory, or kinesthetic (learn by doing). This need not apply to students alone. Learning to picture someone or something, observing and making a mental image of the object, paying close attention to sounds, or trying out a recipe or DIY task all involve learning. Create Mnemonics: These can be acronyms, rhymes, or associated words. Just like VIBGYOR helps children remember the colors of the spectrum in the correct order, you can make a mnemonic for what you wish to remember. Keep Things Where You Need Them: If you have a tendency to forget where you place things, keep them in places where you need them. Your wallet can go in your purse, the remote on the television, and so on. Slow Down: We often tend to think faster than we speak or do things. Sometimes, people forget what they wanted to say or do in the process. You could read slowly, speak slowly, and also request others speak slowly so that your brain has time to register what is being said and done. Minimize Distractions: Avoid doing tasks that require memory while watching television or speaking on the telephone. While these tips can help you remember better, it is also important to improve your memory power by maintaining your physical and mental health. Eating proper food, taking medications on time, and getting enough rest can help us remember by improving brain health. In addition, just like our body needs exercise to stay fit, our brains also need exercise. Playing a musical instrument like the piano, practicing hobbies like chess, and reading can keep the brain active and sharp. While many may believe that they should do one thing at a time and avoid multitasking if they have problems remembering, a new study suggests that multitasking may actually be beneficial to boost memory. Since memory decline is usually age-related, scientists at the University of California, Los Angeles decided to study the impact of multitasking on the memories of 55 people between the ages 60 and 75. They used standard cognitive tests to assess their memory, learning, attention, concentration, and general cognitive performance. They found that no one suffered from dementia, but all had minor memory impairments. Researchers divided the participants into two groups—the simultaneous group and the sequential group. The participants had to attend memory training classes twice a week. Each session was a one-hour session in which they received in-person training. Twenty-nine participants were allocated to the simultaneous group. They only had to attend the classes. The other 26 participants who were in the sequential group were made to do physical activities such as riding a bike before attending the classes. After four weeks, researchers once more tested the mental abilities of the participants. Researchers found that all the participants scored better in the cognitive tests after four weeks. This showed that both memory training exercises and physical activity helped the participants to remember better. However, the participants of the simultaneous group scored better in tests in which they had to identify, recall, and retrieve words and geometric shapes. Therefore, their memory, attention span, and reasoning abilities had improved more than the participants in the sequential group.